There are several well-reviewed LED devices out there, but I invested in this one. And an investment it is. 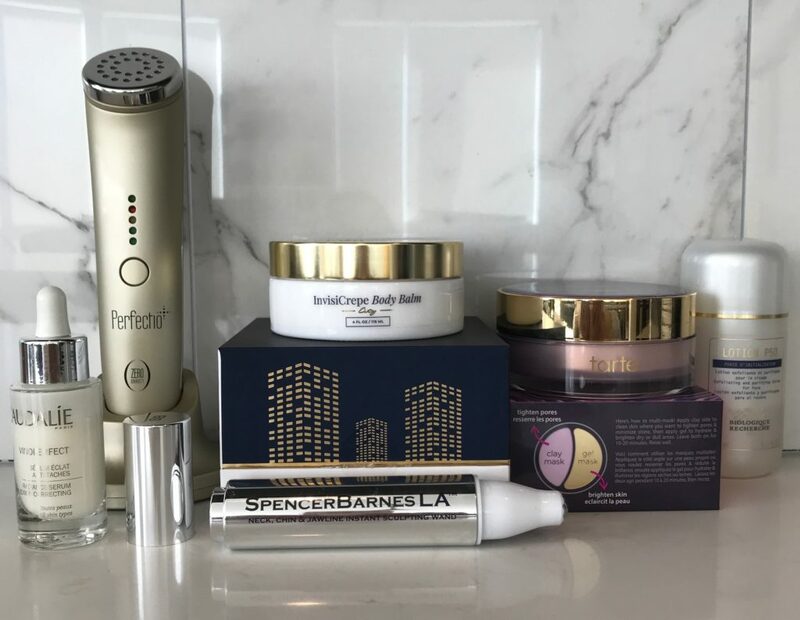 That being said, every time I use the Perfectio Plus, you can be sure someone tells me my skin looks amazing. Now I don’t use this unique treatment device just to get compliments. I use it because it works! How does it work? 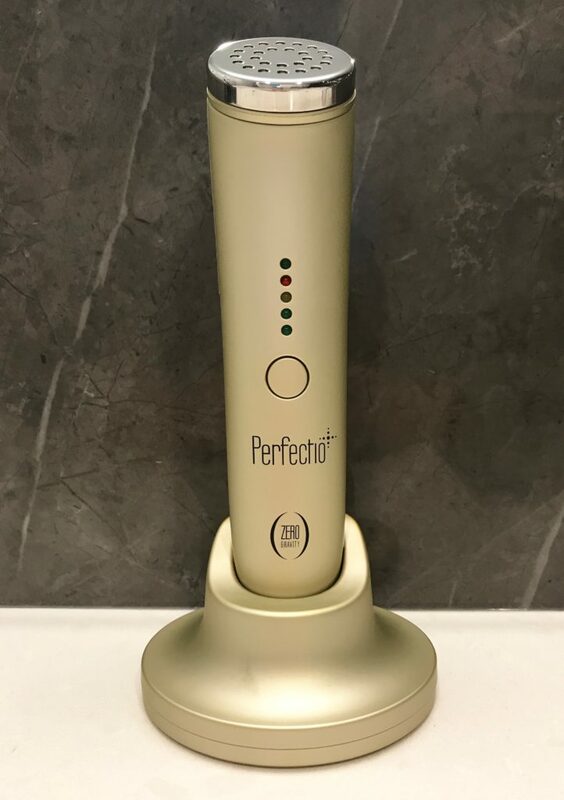 The Perfectio Plus uses red and Infrared LEDs to provide deeper and more effective treatment to all skin layers. It’s fast and easy to use. And very convenient with its own self-charging base. After the initial intensive two week start-up period, I now use it once a week for just 15 minutes. It is considered an FDA-cleared Class II medical device, meaning it’s what an aesthetician would use on you at a MediSpa for hundreds of dollars per session. Despite my initial sticker shock, I figure using my Perfectio Plus now costs me well under $100 per use…and counting down. While I have not tried this, this or this LED device, they all come well-reviewed and are much more affordable. This all-in-one product targets the thin, fragile neck, chin and jawline areas that are often the first indicators of age. Sure surgery works, but it’s a pretty drastic step. The sleek wand applies with an antimicrobial rollerball and delivers some truly noticeable results. And the more you use it, the better those results get! Highly-concentrated, this natural, oil-free serum combats dark spots, evens skin tone, and boosts radiance. It’s been proven to be 62 times more effective than vitamin C! I use it every AM and PM before I apply my moisturizer. So far, I have been pretty thrilled with the results and will definitely purchase again. Some call it a magic potion, others say it smells weird (it does!). But this cult favorite exfoliates, hydrates and balances the pH of your skin. It’s the perfect prep step before the rest of your skincare routine. Because it is intense and my skin is normal/dry, I use it just once a week per the advice of an experienced facialist. If your skin is on the oilier side or prone to breakouts, use as directed. There are also sensitive skin, dry skin and hyper-pigmented skin formulas. I seen what it’s done for friends and definitely noticed a big difference in my skin in just a few weeks. 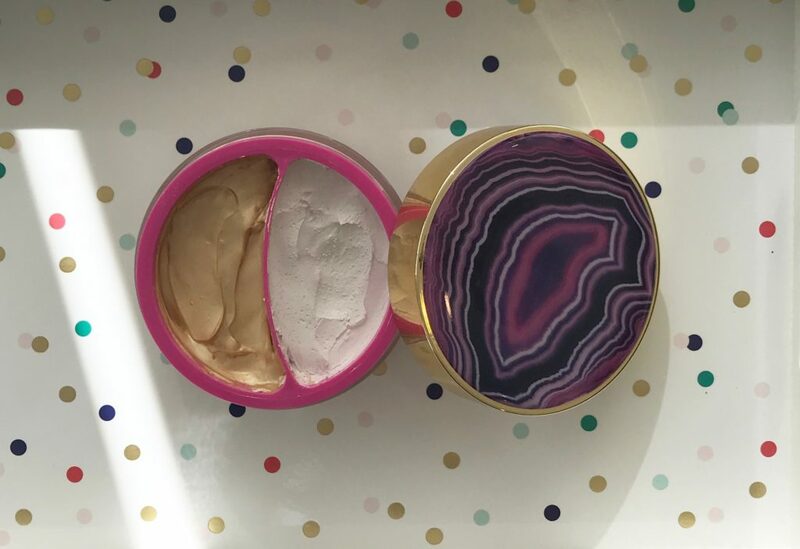 Two targeted vegan face masks in one jewel-like jar! Together, they work in total harmony to treat your specific skin concerns zone-by-zone. Purple Detoxifying & Purifying is perfect for the oilier T-zone, with shine control ingredients and micro-exfoliants to help tighten pores and de-flake and detox your skin. Gold Hydrating & Firming is ideal for dryer, more delicate areas like cheeks, forehead and under the eyes. With Amazonian clay and Hyaluronic Acid to boost clarity and circulation, while also calming redness and inflammation. I love this product. Plus it’s totally fun to use. I must have googled “crepey skin,” and this product popped up in my Instagram feed. A bit scary how that happens, but I was intrigued enough to watch a pretty in-depth video and place an order. And I’m so glad I did! If I could take a bath in this stuff I would!! Luckily, a little goes a long way, so while I use it from my neck to my ankles every day, the jar does last quite a while. I am hooked and have re-ordered twice already. 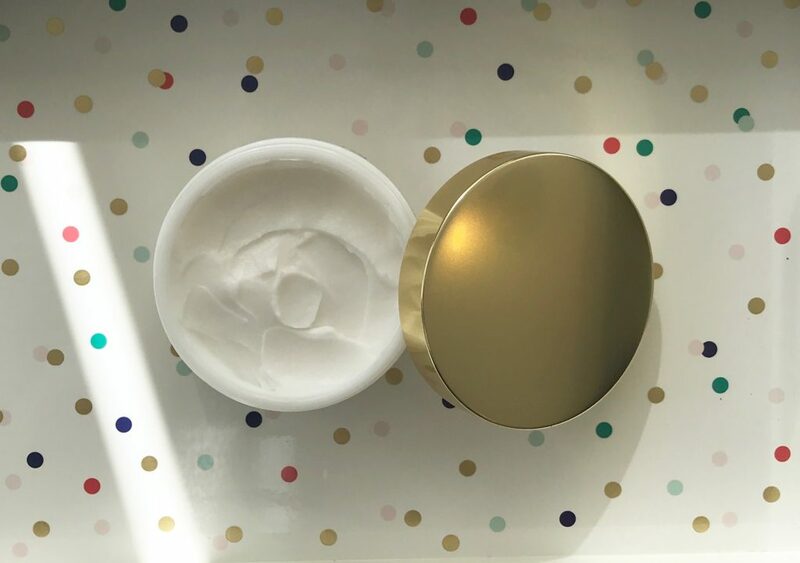 There is a lot of detailed information if you click through to the website, but in short this “miracle’ balm is designed to gradually erase the look of crepey skin anywhere on the body. Its innovative formula makes long-term repairs to the skin barrier and helps strengthen skin’s cellular matrix, both of which weaken with age. The result? Skin that truly looks and feels smoother, firmer…younger! It also smells great and glides on beautifully. LOVE!!! While Astringent is often a scary word when it comes to skin, this time-tested and gentle skin whiz helps cleanse, tone and moisturize skin. 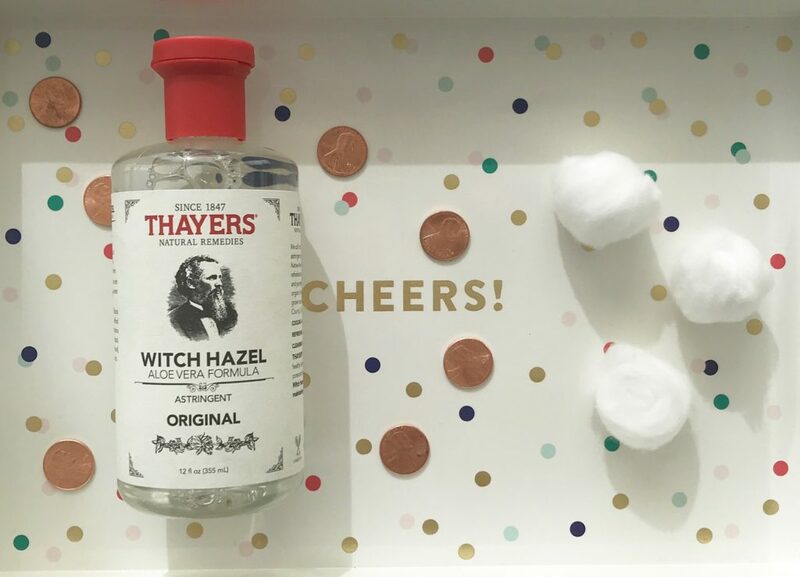 Made from organic witch hazel, aloe and vitamin E, its an all-around must-have that’s alcohol, gluten, sulfate, formaldehyde, paraben, phthalate, aluminum and dye free. More importantly, it’s not tested on animals and certified cruelty-free. Thayers comes in an array from lavender to lemon, cucumber and rose petal, as well as toners, mists and and facial pads. I like to use mine as a toner after particularly grimy city days. Tip: it’s also soothing post eyebrow tweezing. And it’s really just pennies to use. These photos are stunning! I want all. A rose petal Witch Hazel ? Never knew – cool. Thank you, KMg. Photo props coming from you mean a lot!! Check out Thayers. It’s the real deal, literally. Not sure you need them all! But fun to try one…or two. Thanks, Saba. You’re too young for most of these! 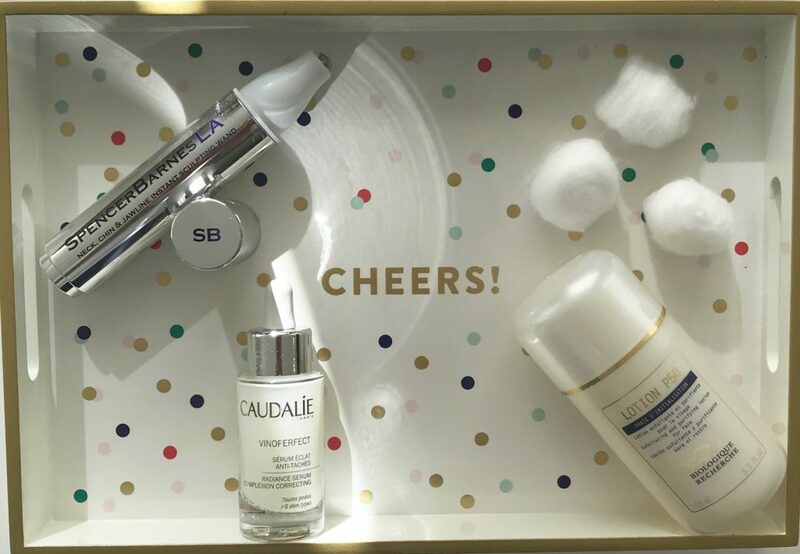 But you could try the Caudalie Serum or Tarte Multi-Mask…and the Witch Hazel!